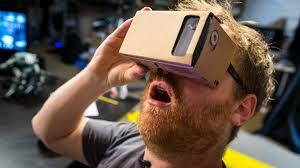 As augmented reality app developers we specialise in apps for nearables, wearables and also virtual reality. 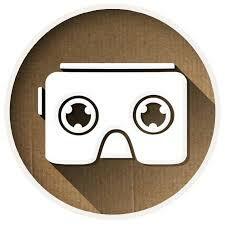 We are now proud to announce we are also leading the charge in Australia as google cardboard developers creating amazing virtual reality and augmented reality apps, its simple and very cost effective – what else would you expect from Google, Google Cardboard. Recent deployments for Melbourne digital agencies as well as our own clients have provided a unique experience for customers allowing them to experience augmented reality simply and easily. We are developing apps across a wide range of industries as we continue to focus on the closing the gap between reality and virtual reality. Property developers, fashion designers, and museums are our first customers but the ability to use this simple amazing device is by far much wider. To use its pretty simple once the kit is assembled, a smartphone is inserted in front of the lenses and held in place by yes – a rubber band. A Google Cardboard–compatible app then splits the smartphone display image into two images, one for each eye, while then also applying barrel distortion to each image to counter pincushion distortion from the lenses. Experience virtual reality in a simple, fun, and affordable way – get ahead of the market with Appwriter. Imagine no more boring trips to museums but amazing high tech state of the art experiences for your children that excite and inspire them! This is the amazing future that google cardboard can bring to your everyday interaction and user experience – maybe google glasses were a bit too ahead of there time as wearables but we do believe based on customer feedback google cardboard is a new neat way to move augmented reality forward. If you want to see a pilot or meet up we would love to hear from you – get in touch at appwriter Melbourne’s leading google cardboard developers.